Springs may be small in size, but they are considered the life force of a garage door. Everything from balance to the opening and closing force is either directly or indirectly dependent on the spring system. Broken or misaligned springs can cause problems like uneven doors to non-functional ones. If you suspect a problem with the springs, whatever you do, do not try to fix it on your own! Springs are very delicate because they are under high tension. One wrong move may not only affect the parts next to it, but put you in harm's way as well. Do not worry, as you can trust your friendly technicians here at “Garage Door Repair Hurst” to fix any problem with the spring systems. Our team of experts is trained extensively to handle spring systems and other delicate door mechanisms. We fix overhead, torsion and extension springs, among others. Our garage door spring repair services are prompt, fast and reliable. We offer same day repair service, so you don't need to wait when an emergency occurs. Trust in our experts to promptly show up, ready to tackle any spring-related problems, no matter how complicated they may be. Our team is trained in recognizing and handling every type and model of spring available in the market today, so no spring system is too complicated for us. There are times when simple garage door spring repair will not do. 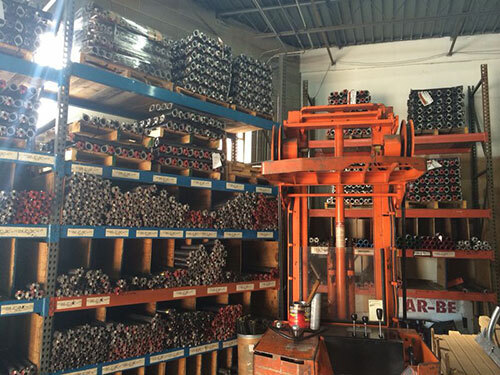 Fortunately, our company has a wide variety of spring types and models in our inventory, so we can do torsion spring replacement and others with ease. No matter what type of springs is installed on your door, we have something like it or much better. We use only the best brands when it comes to different door parts, especially springs as they fulfill an important role in any garage door. Once our technicians are done replacing the broken springs, the door will be just as good as before, or even better. If your spring systems break and cause issues frequently, there may be a deeper problem. Sometimes, the springs are just too weak because the garage door is large and heavy. Sometimes the torsion springs are incompatible with other parts of the door. This is often the case with DIY installations and repairs. Our technicians have a keen eye for detail and can spot underlying problems that are responsible for a broken spring. We may recommend model or brand replacement or upgrade if it benefits the door. So don't worry yourself silly with your garage door spring system problems. Contact us today to avail of our top notch spring repair and replacement services. We don't only fix the problem, but make sure that it doesn't happen again.